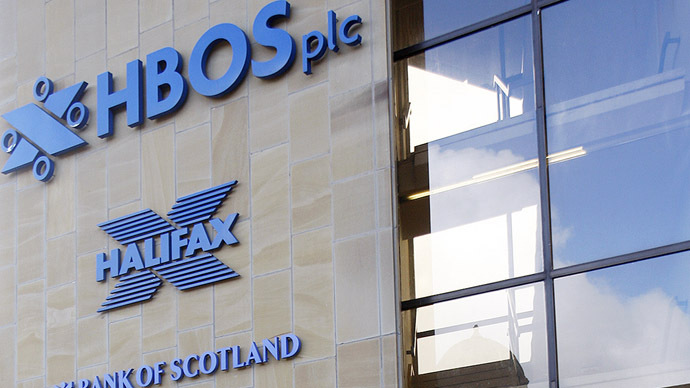 British lawmakers have moved to ban former HBOS bosses who made ‘toxic’ misjudgements that led to a $42 billion rescue. The mistakes of Dennis Stevenson, James Crosby, and Andy Hornby were such a “colossal failure” that British lawmakers have suggested regulators should bar the men from ever working in the financial industry again. The Parliamentary Commission on Banking Standards, a reform regulator for UK banks, issued a report which singled out the three men as those that brought down the bank. "The Commission has asked the regulator to consider whether these individuals should be barred from undertaking any future role in the sector," Commission chairman Andrew Tyrie said in the report. Commission chairman Andrew Tyrie suggested the ban be part one of their punishment, calling for all three men to be “directly accountable” and must “face sanction accordingly”. The Commission report did not treat the matter lightly, or beat around any bush, and outright accused the bank of being ‘incompetent’, ‘reckless’, a ‘fundamentally flawed-business model’, a ‘colossal failure’, ‘toxic’, and in general, a ‘manual for bad banking’. It’s a classic story of high-risk, aggressive expansion strategy, and the Commission accused the 3 execs of ‘self-delusion’ and hubris. Peter Cummings, an HBOS exec who ran the division responsible for the losses, was fined £500,000 and is banned from the finance industry, but lawmakers want to extend that to Crosby, Stevenson, and Hornby. Crosby, and Hornby have both apologized for the bank’s collapse, Hornby ‘bitterly’ regrets the unraveling. Stevenson, who told the committee 'mistakes were made’, hasn’t been so outright apologetic. He has switched his story, first admitting he was executive chairman but then later claimed he was a part-time non-executive, trying to absolve himself from blame. “Stevenson, in particular, has shown himself incapable of facing the realities of what placed the bank in jeopardy from that time until now,” the panel said. “This culture was brash, underpinned by a belief that the growing market share was due to a special set of skills which HBOS possessed and which its competitors lacked,” the panel said. The company, though it labeled itself ‘conservative’ chased after assets, expanding quickly with disregard to risk, and ticked up larger losses than any UK counterpart, forcing a 39% taxpayer owned bailout. The Financial Services Authority was also crutinized for their inadequate oversight of the high risk lending. The report concluded: "The primary responsibility for the downfall of HBOS should rest with Sir James Crosby, architect of the strategy that set the course for disaster, with Andy Hornby, who proved unable or unwilling to change course, and Lord Stevenson, who presided over the bank's board from its birth to its death."